At the recent Sixth International Encaustic Conference I visited Binnie Birstein's demonstration on Beginning Encaustic. Here was a teacher bringing to newbies a wealth of professional and teaching experience. Not only was her demo thorough, she anticipated the standard questions and also responded carefully to specific questions asked by the participants. And she was abundantly well prepared. 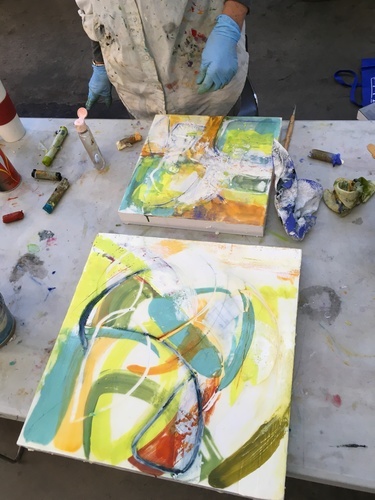 Anyone attending that demo left not only with an understanding of the how and why of encaustic, but with a clear image of an engaged and engaging teacher. Hopefully they won’t settle for less from another. Quote from Joanne Mattera, founder and director of the International Encaustic Conference. 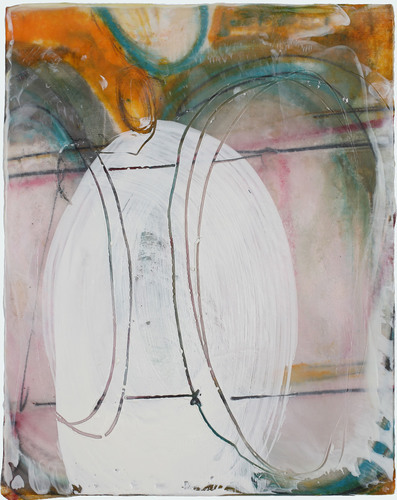 Abstraction in painting allows the artist to communicate in often personal and impactful ways. 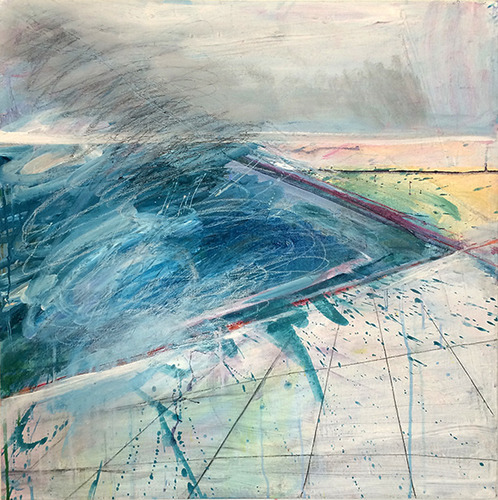 Designed for all levels of experience, students are exposed to a variety of approaches applying abstract techniques and sensibilities to painting. Through lectures, demonstrations, critiques, and in-class painting, this course allows participants to develop a unique voice in their paintings. Topics include: color theory, composition, depth, movement, abstraction from life, and paint application. This 10-week course open to all levels will immerse you in painting with a medium that begins to harden the moment it leaves its heat source. You will learn about wax and medium, painting and fusing, working the surface to achieve various textures, substrate options, archival issues, and safe studio practices, as well as historical roots. Throughout the course we’ll look at contemporary artists working in encaustic and see how varied approaches to the medium are utilized. All supplies are provided for the first class. Medium and basic paint colors will be provided. Students will provide supports and some other supplies for following classes. Individual concerns will be addressed. 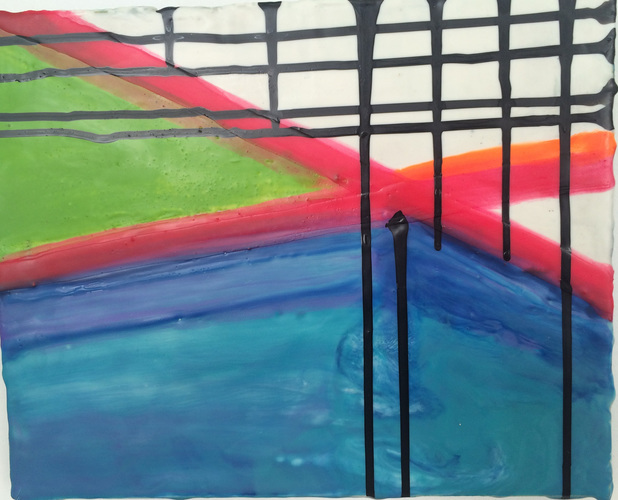 Most importantly, why use encaustic, and how encaustic can be incorporated into your work. What can the medium do for you? What can you do with the medium? This class designed for continuing students as well as those who want to learn the basics of painting with encaustic, a paint that sets up the moment it leaves the heated palette. Encaustic is great for creating textures as well as sheer layers and works as a glue for papers! Learn all about how to combine other media with encaustic in your art. 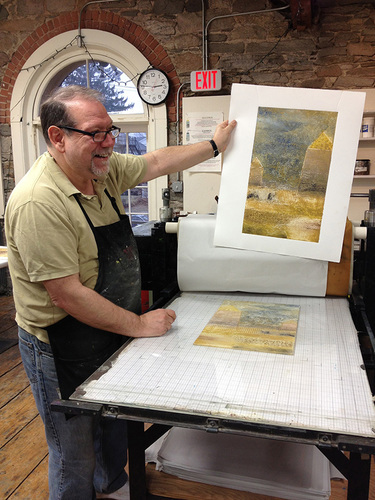 This workshop combines encaustic painting with printmaking by creating collagraph plates that use wax to make the printable surface. Participants will be able to experiment with inlaying and incising techniques to create texture and build their images on re-usable Plexi-glass plates. The plates can then be inked with water based Akua intaglio ink and printed. The possibilities for using encaustic to create texture are limitless. 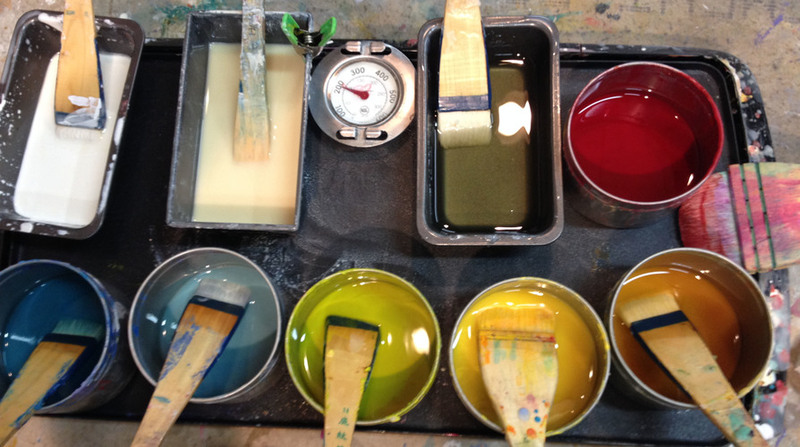 Learn how to incorporate your prints and other materials into your work with encaustic. Encaustic can be used as paint as well as a medium to adhere your prints, drawings and papers. We’ll cover safety, a brief overview of contemporary artists working with papers and wax. Participants will work in a variety of techniques including brushing, dipping, incising, stencils, collage, and more. Bring your prints and drawings to see how you can rework and discover something new! This is a wonderful opportunity to see how you can turn older work into a source of inspiration. Take your work in another direction.